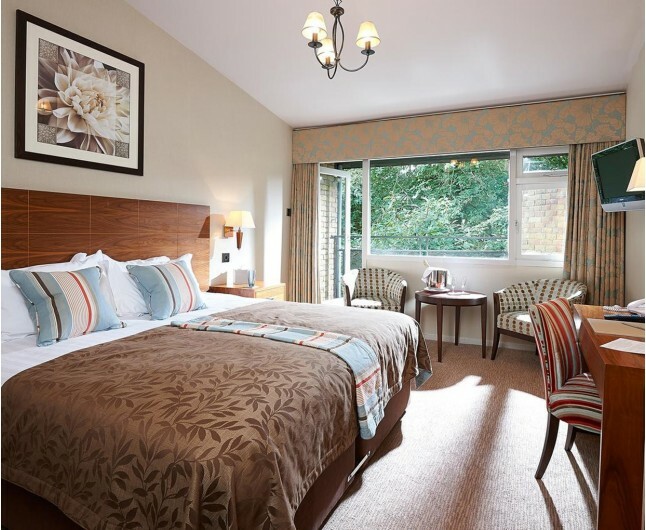 Enjoy a Hampshire Hotel Break for Two in the Potters Heron is a wonderful and freindly choice with beautiful views, to make the perfect romantic break. The Hampshire Hotel Break for two at Potters Heron Hotel is located in a wonderful setting with warm and friendly staff eager to help with whatever you need. Your one night stay in this wonderful hotel will include a Breakfast, a bottle of house wine, a delectable fruit basket and full access to the leisure facilities. 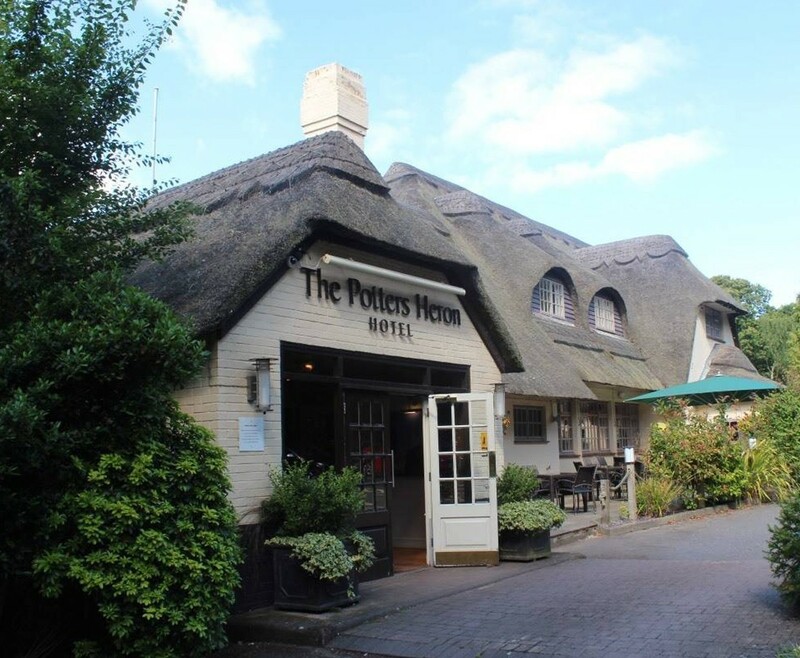 The Potters Heron Hotel is situated in a tranquil spot filled with foliage in the heart of Hampshire. 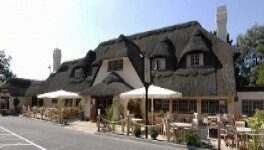 This charming hotel and bar restaurant is instantly recognisable with its thatched roof. Most of the 53 en suite bedrooms have a balcony or terrace, with stylish design and a comfortable contemporary finish. Your Hampshire Hotel Break for two has a bar restaurant with a wide terrace area for summer and a roaring log burner inside for winter days. The restaurant offers handcrafted seasonal dishes, that use fresh, locally sourced ingredients as often as possible. Enjoy a revitalising beauty treatment with The Potters Beauty Barn for a truly serene experience. The friendly staff have 12 years experience with beauty treatments and knowledge of the best products to use. With offers on massages, waxing, nail treatments and much more for you to choose from. Your Hampshire Hotel Break for Two is bound to be beyond expectation. A romantic stay in one of the spacious twin or double room that have been decorated warm design and have a welcoming atmosphere. 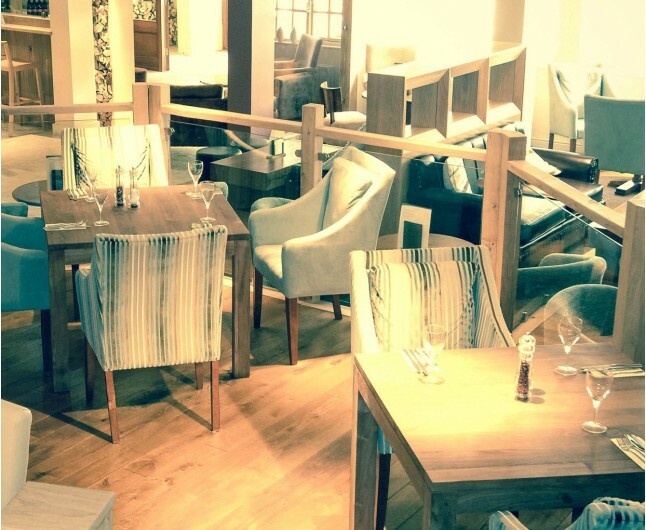 The contemporary restaurant serves British cuisine sourced from local suppliers and the bar serves local ales. An on-site beauty salon offers spa treatments (fee). There are 7 meeting rooms available for events. Off-street parking is free. The Hampshire Hotel Break for two experience is for two people. Based on two people sharing a double or twin bedroom for one night. This experience is valid for 12 months from date of purchase. Breakfast for two people is included on the morning following your one night stay. Please book prior to stay.